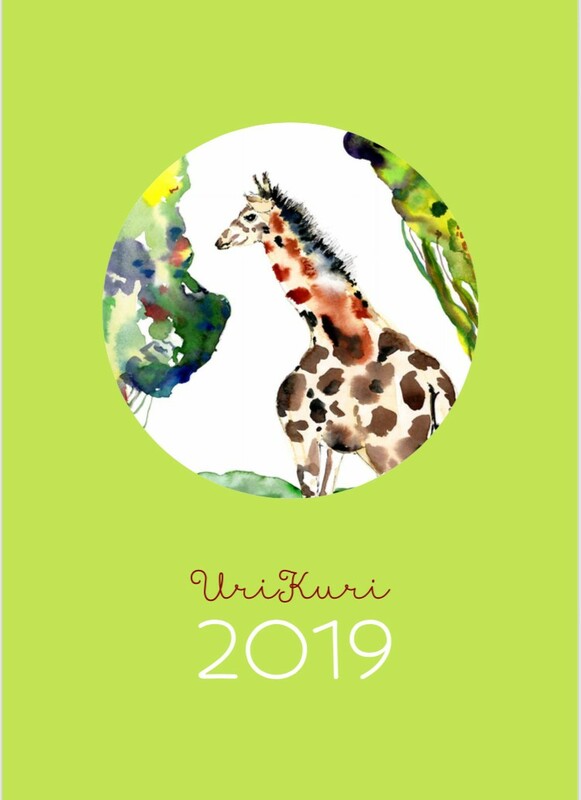 A very limited edition of UriKuri Wall Calendar for 2019! 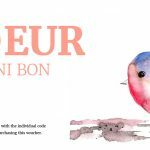 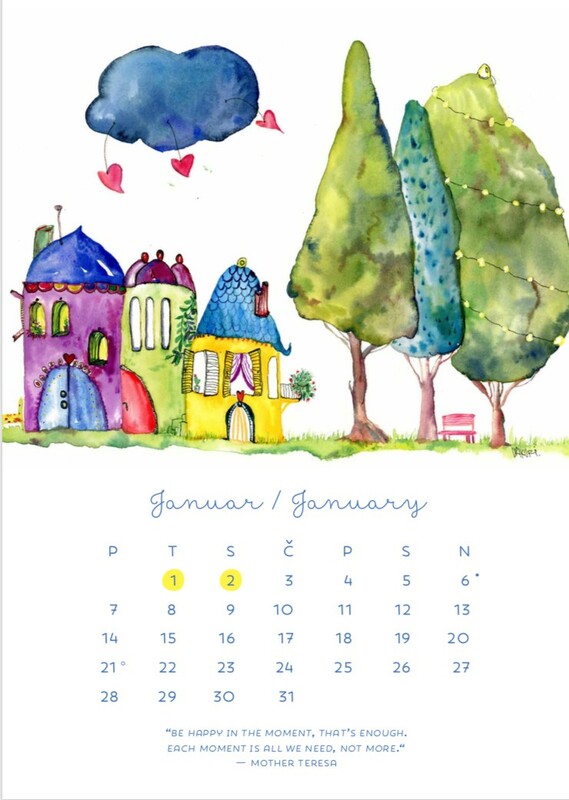 My watercolor illustrations are professionally printed on high quality 100% recycled paper / 160 gsm, giving it a slightly white creamy sheen and vibrant colours. 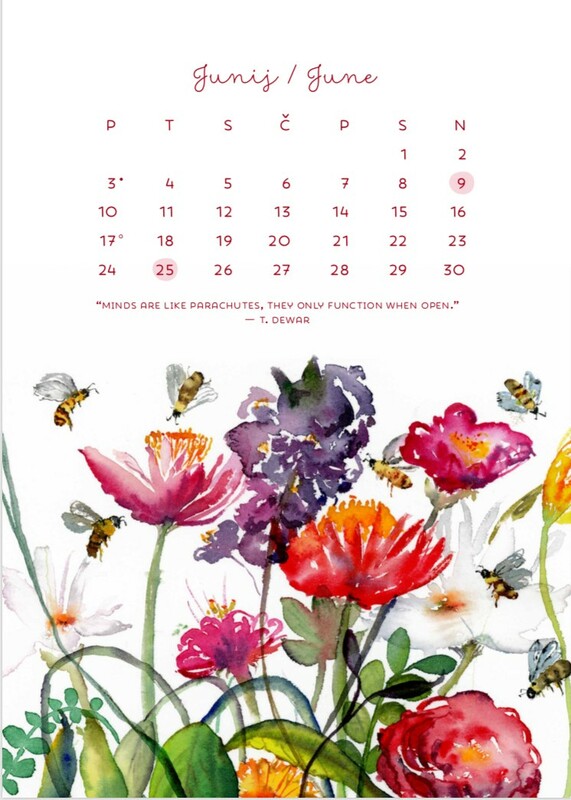 Calendar size is approx. 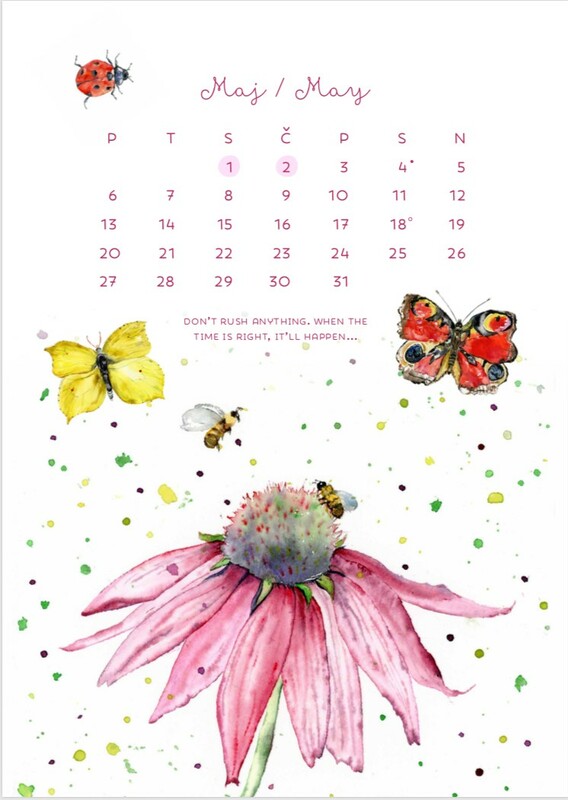 A3 (open) and includes little hole so you can hang it on the wall. 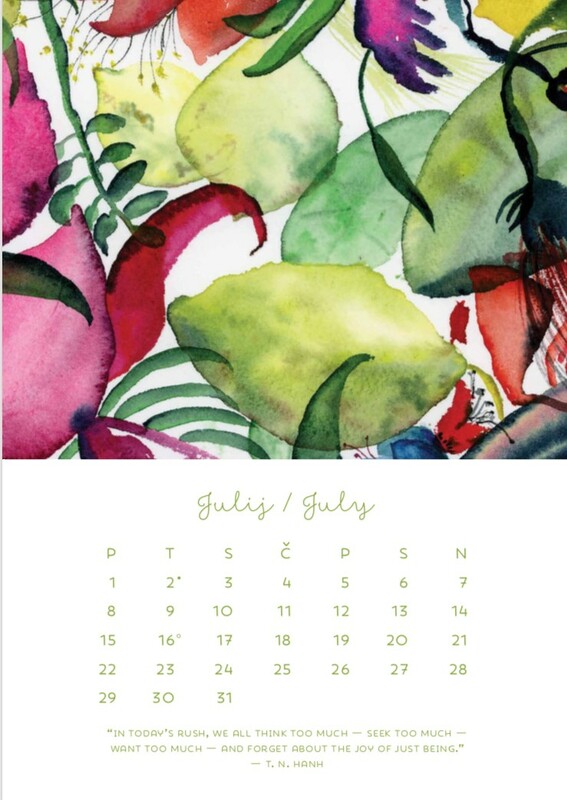 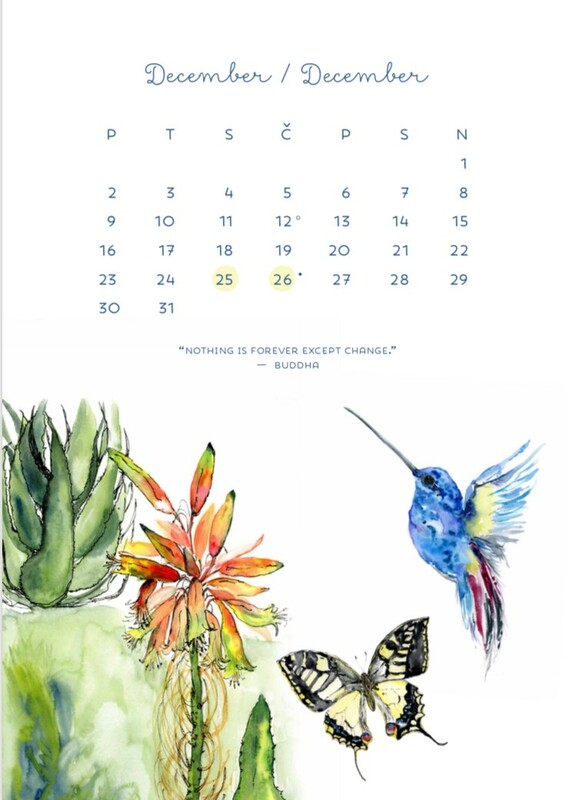 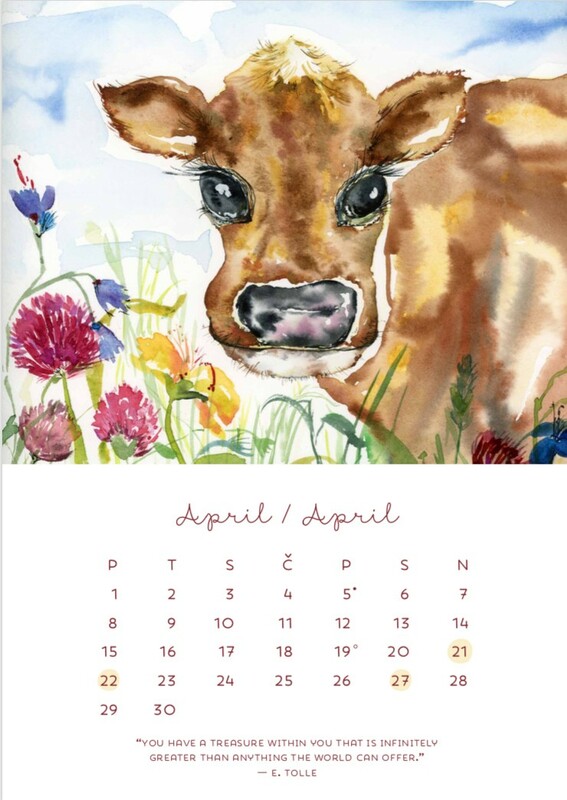 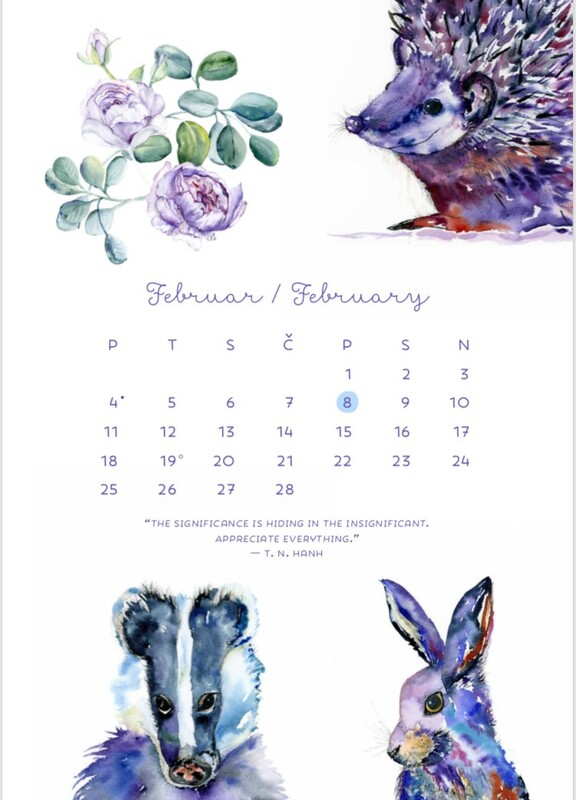 Each month includes different illustrations and days of the month. 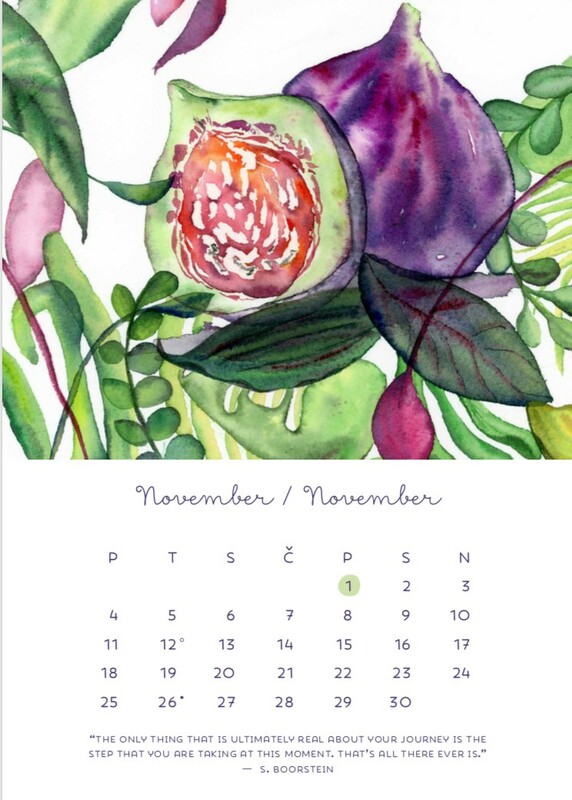 Important holidays are marked for you as well. 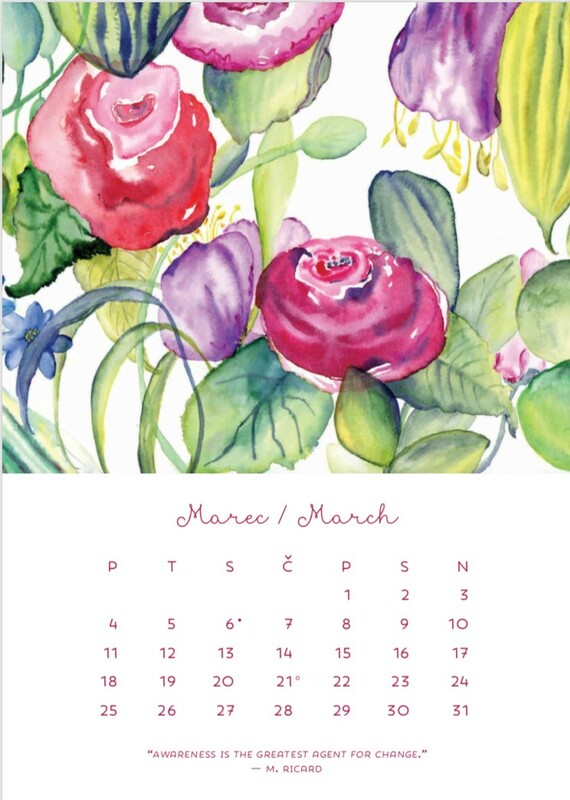 The names of the months are in Slovene and English language. 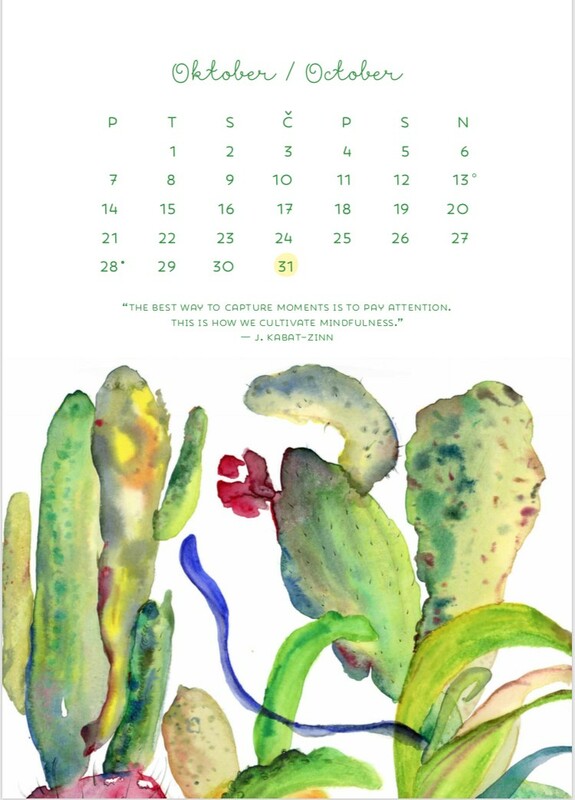 Each month features a unique quote about mindfulness and nature (in English). 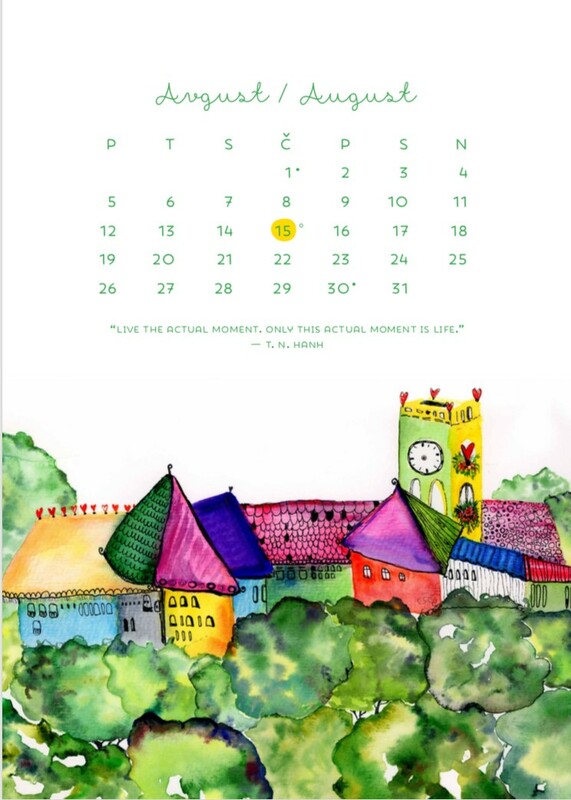 Each calendar will be securely packed with waterproof materials.